A STYLISH one bedroom FURNISHED flat with PRIVATE BALCONY in EXCELLENT CONDITION throughout, situated in great central location. This bright property comprises of one large double bedroom, one bathroom, fully fitted open plan kitchen and a spacious reception area which leads on to the private balcony. . Located close to the vast array of eateries, shops, entertainment and other amenities that Wandsworth has to offer. 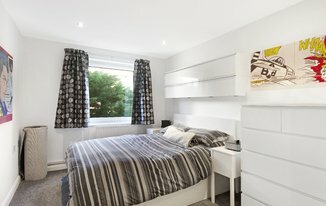 Situated in between Clapham Junction station (National rail and London Overground) and Wandsworth Town station (National rail) which provide excellent transport links in and out London.